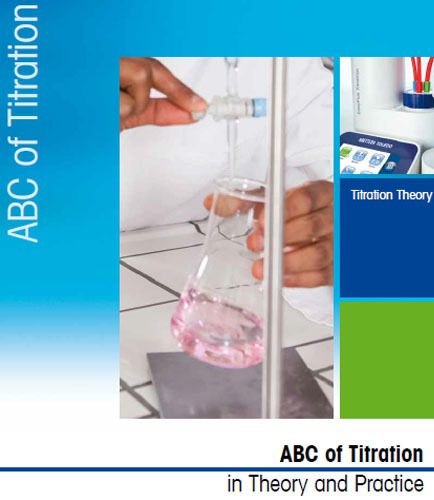 "ABC of Titration in Theory and Practice"
Titration is the method of analyzing the concentration of an unknown substance in a solution with the help of a titrant of known concentration based on the complete chemical reaction that occurs between the unknown substance and the titrant. It is one of the widely used laboratory technique of quantitative chemical analysis in the fields of chemical, electronic, food and beverage industries. The titration theory is determined by the type of the chemical reaction that occurs in the different titration process which is then monitored through a color indicator or potentiometric principle and a distinction between endpoint and equivalence point is made to establish the concentration of the unknown substance. Titration is a well-established analytic technique with higher precision and accuracy. It also provides good price and performance ratio compared to other techniques. Distinct differences between automated titration and manual titration are established. A complete guide for Karl Fisher’s titration process is provided in details. Detailed understanding of titration components and process.